Justice Department says it has successfully accessed the data from San Bernardino shooter's iPhone. The U.S. Justice Department says it has successfully accessed data stored on an encrypted iPhone used by one of the San Bernardino shooters, Reuters reported Monday, citing a court filing. As such, the Justice Department asked a court to withdraw an order compelling Apple to assist. The technology company fought a court order obtained by the FBI last month that required it to write new software to disable passcode protection and allow access to the phone used by one of the shooters, Syed Farook. Apple argued in court against the ruling ordering it to help the FBI unlock the phone, explaining that such a move would violate its free speech rights and require it to devote significant resources to comply. The technology giant declined immediate comment on Monday. The request to withdraw the order comes a week after U.S. officials said they were hopeful they would be able to unlock the iPhone without help from Apple. In a two-page court filing on Monday, the Justice Department said the government "no longer requires" Apple's assistance. At issue was a county-owned iPhone used by Farook, one of the husband-and-wife shooters in the San Bernardino, California, shooting in December in which 14 people were killed and 22 wounded. The couple died in a shootout with police after the rampage. 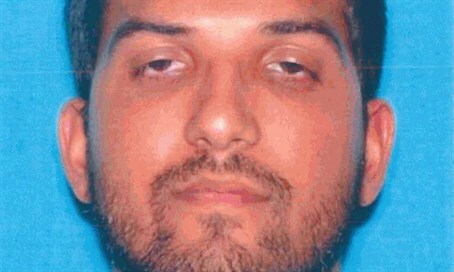 The FBI has said that Farook and his wife, Tashfeen Malik, were both radicalized "for quite some time" and had taken target practice at Los Angeles-area shooting ranges, one of them "within days" of the massacre.